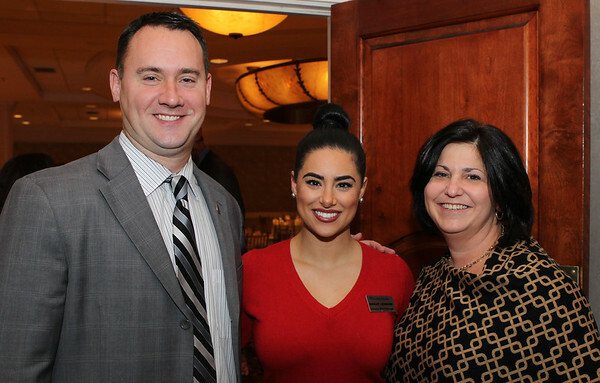 From left: Peabody Mayor Ted Bettencourt, Ashley Leveroni, and Ann Spak-Danjou, at the Peabody Area Chamber of Commerce annual dinner and Ankeles Award Ceremony held at Spinelli's in Lynnfield on Wednesday evening. DAVID LE/Staff photo. 11/5/14.